Yocan Technology Co., Ltd is a leading healthy Wax vaporizer& Dry herb vaporizers manufacturer and exporter from Shenzhen area of China. Our product line covers from dry herb vaporizers, wax vaporizers to Enail. We promote a healthy lifestyle by connecting wholesaler to retailers and customers, strive to promote not only an elevate way of smoking, but also thinking and living. Each model is designed by our professional R&D team considering eliminating harmful toxins otherwise consumed. Top level craftsmanship and quality standards applied by Yocan undoubtedly make our products first choice in the e cig industry. The growing popularity of vaporizer and other atomizer devices comes from delivery of nicotine without the need for smoke, which eliminates the body’s exposure to harmful toxins found in cigarettes. 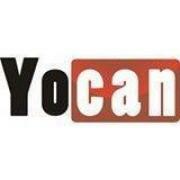 Whether your customers are athletes, vocalists and the health-conscience individual desiring the healing power of marijuana or satisfaction of nicotine without compromising their respiratory system, ex-smoker, or a longtime fan of electronic cigarette and cigars, they can find what they are looking for from Yocan at your end! OEM and ODM service are warmly welcome. Smoke less, vape more!